of domestic life and loving family relationships. 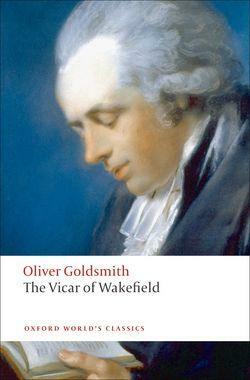 Regarded by some as a straightforward and well-intentioned novel of sentiment, and by others as a satire on the very literary conventions and morality it seems to embody, The Vicar of Wakefield contains, in the figure of the vicar himself, one of the most harmlessly simply and unsophisticated yet also ironically complex narrators ever to appear in English fiction. Robert L. Mack has edited a number of volumes for Oxford World's Classics, including Burney's The Wanderer, Oriental Tales, and Arabian Nights' Entertainments. He has also edited Thomas Gray's poetry and Goldsmith's poetry for Everyman, and written a biography of Thomas Gray (Yale, 2000).